Actually teach your dog what the word “come” means. Put a leash on, say “come” and then reel your dog in to you and reward. Rinse and repeat MANY, many times in several different situations (all with the leash on). Don’t over use it, particularly when you don’t mean it. When you use “Come” all the time, dogs stop paying attention. For example, when you are walking your dog and they are sniffing the ground, don’t say come unless you are going to do a formal recall. Use “let’s go” or something similar. Never chase your dog. EVER. Only give the command when you can enforce it so practice on-lead until the dog is reliable. Don’t repeat the command. Say it once and then make it happen. Only give the command if you can enforce it. 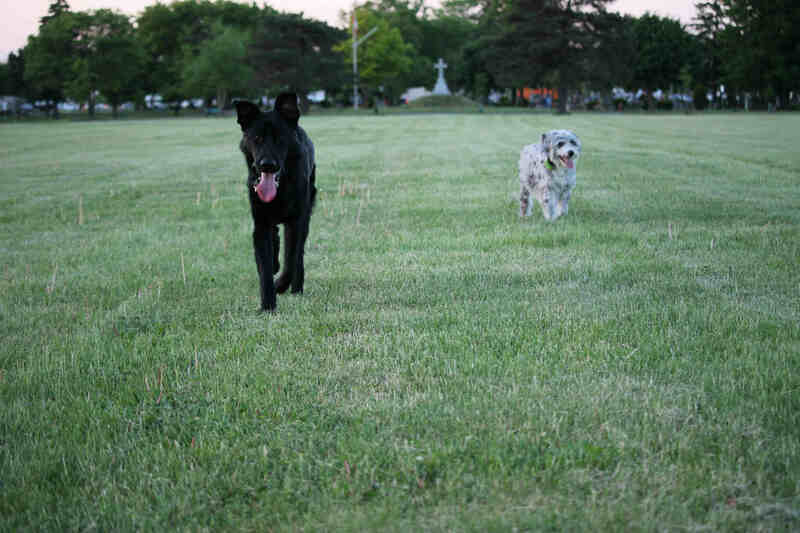 For example, if your dog is not fully reliable yet, do not unleash at the dog park and start using the “come” command. This will only teach your dog that the word “come” doesn’t actually have any meaning. Never punish your dog for not coming. You can give a leash correction for non compliance when the dog is ignoring you but once they get to you (or you to them), you must stay positive and reward.